NEBB Institute Promotes A Powerful Ethics Standard Making NEBB Institute One Of The Leaders In Machinery & Equipment Appraisals. Many attempts have been made to educate the public on how to protect themselves when it comes to providing accurate machinery and equipment values. The problem is that most appraisers guess, rely on book value or the opinion of a non-certified person. The public relies on surface-level information from an appraiser which does not give the public indication as to the level of accuracy or competency. We are committed to preserving the public trust. 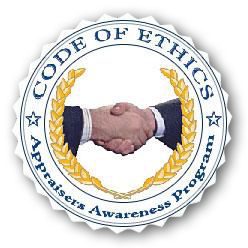 Therefore, we have developed a "Code of Ethics & Competency" Appraiser Awareness Program to protect the public from unsubstantiated or questionable machinery and equipment appraisals. Our seal serves to alert the public to the documentation we feel is necessary to prove that an appraiser is competent. This assuresan appraisal will be substantiated, accurate, irrefutable and defensible. The appraisal will withstand scrutiny. Defensible Appraisal - A Certified Appraisal by a Certified Machinery & Equipment Appraiser (CMEA) is backed by ethics, reporting, and substantiation. A CMEA's defensible appraisal will withstand scrutiny. NEBB Institute Guards The Public Against An Unpleasant And Costly Experience. That's Why A CMEA Professional Designation Is The PERFECT Avenue To Improve Professional Competence When Faced With Assigning A Value To Tangible Assets. A CMEA KNOWS What The Equipment Is Worth! An appraiser must not misrepresent his or her role when providing valuation services that are outside of appraisal practice. An appraiser must perform assignments ethically and competently in accordance with USPAP and any supplemental standards agreed to by the appraiser in accepting the assignment. An appraiser must not engage in criminal conduct. An appraiser must perform assignments without partiality. He or she must have objectivity and independence, and be without accommodation of personal interest. In appraisal practice, an appraiser must not perform as an advocate for any party or issue. An appraiser must not accept an assignment that includes the reporting of a pre-determined opinion or conclusion. An appraiser must not communicate assignment results in a misleading or fraudulent manner. An appraiser must not use or communicate a misleading or fraudulent report or knowingly permit an employee or other person to communicate a misleading or fraudulent report. An appraiser must not use or rely on unsupported conclusions relating to characteristics such as race, color, religion, national origin, gender, marital status, family status, age, receipt of public assistance income, handicap, or an supported conclusion that homogeneity of such characteristics is necessary to maximize value. The payment of undisclosed fees, commissions or things of value in connection with the procurement of an assignment is unethical. the occurrence of a subsequent event directly related to the appraiser’s opinions and specific to the assignment’s purpose. It is unethical for an appraiser to advertise for, or solicit assignments, in a manner that is false, misleading or exaggerated. An appraiser must protect the confidential nature of the appraiser-client relationship. An appraiser must act in good faith with regard to legitimate interest of the client and the use of confidential information and in the communication of assignment results. An appraiser must be aware of and comply with all confidentiality and privacy laws and regulations applicable in an assignment. An appraiser must not disclose confidential information or assignment results prepared for a client to anyone other than the client and persons specifically authorized by the client; state enforcement agencies and such third parties as may be authorized by due process of law; or a duly authorized professional peer review committee except when such disclosure to a committee would violate applicable law or regulation. It is unethical for a member of a duly authorized professional peer review committee to disclose confidential information presented to the committee. An appraiser must prepare a work file for each appraisal. The file must include the name of the client and the identity, by name or type, of any other intended users; true copies of any written reports, documented on any type of media; summaries of any oral reports or testimony, or a transcript of testimony, including the appraiser’s signed and dated certification; and all other data, information, and documentation necessary to support the appraiser’s opinions and conclusions and to show compliance with this rule and all other applicable standards, or references to the location(s) of such other documentation. An appraiser must retain the work file for a period of at least five (5) years after preparation or at least two (2) years after final disposition of any judicial proceeding in which testimony was given, whichever period expires last, and have custody of his or her work file, or make appropriate work file retention, access and retrieval arrangements with the party having custody of the work file. An appraiser must disclose the lack of knowledge and/or experience to the client before accepting the assignment, take all necessary steps appropriate to complete the assignment competently, and describe the lack of knowledge and/or experience and the steps taken to complete the assignment competently in the report. The appraiser must disclose any interest the appraiser has in any item(s) being appraised. An appraiser will not mislead the public by advertising or conducting machinery and equipment appraisals utilizing the professional credential of CMEA (Certified Machinery & Equipment Appraiser) when they have not upheld the mission, membership, and ethics of NEBB Institute. An appraiser must sign the Certification of value in the report. An appraiser will not affix the signature of another without consent. An appraiser will not willfully, knowingly, violate the requirements of the record keeping rule, or any other required ethics as mandated by USPAP. The appraiser certifies that he/she has not appraised or had any other involvement within the past three years with the property appraised unless prominently disclosed to the client prior to acceptance of the engagement. The appraiser must disclose that he/she paid a fee or commission, or gave a thing opf value in connection with the procurement of an assignment. The disclosure will be made on the Certification page. The appraiser must include a signed Engagement Agreement within the Appraisal Report. Copyright 2004-2013 National Equipment & Business Builders Institute. All rights reserved. NEBB Institute is registered with the National Association of State Boards of Accountancy (NASBA) as a sponsor of continuing professional education on the National Registry of CPE Sponsors. State boards of accountancy have final authority on the acceptance of individual courses for CPE credit. Complaints regarding registered sponsors may be submitted to the National Registry of CPE Sponsors through its website: www.nasbaregistry.org.